> What is Ewing's Sarcoma? The family and friends of Michael Lio have raised more than $100,000 for Ewing's sarcoma research in his memory. The family and friends of Nicholas Theodore Strub have raised more than $17,000 for Ewing's sarcoma research in his memory. Ewing's sarcoma is one of more than 50 kinds of sarcoma. Each kind is rare, yet all together sarcomas affect hundreds of thousands of people around the world. What is Ewing's Sarcoma Family of Tumors? Ewing’s sarcoma (ES) was first described by James Ewing in 1921 as a "diffuse endothelioma of bone" (Ewing 1921). He observed that this highly aggressive bone cancer was remarkably sensitive to radiation therapy. Among other things, Dr. Ewing "laid the foundations of what is now known as the Memorial Sloan-Kettering Cancer Centre, building up a strong team of physicians who later distinguished themselves in the various specialties of oncology. His reputation was widespread; his peers referred to him as 'The Chief' and 'Mr. Cancer'." See About James Ewing. The tumor which bears his name is generally referred to as Ewing’s sarcoma when spoken and either Ewing's sarcoma or Ewing sarcoma when written. The terms are used interchangeably throughout this text and the literature. Since the time of his description, many theories have evolved regarding how Ewing sarcomas arise. While the origin of these tumors is still not definitively known, the two theories with the most support suggest that these tumors arise from a primitive cell derived either from an embryologic tissue called the neural crest, or from resident cells in the body (called mesenchymal stem cells) that have a capability to become one of a variety of tissue types. Pathologists have long known that Ewing sarcoma looks very similar to an even rarer soft tissue tumor called primitive neuroectodermal tumor (PNET). By the early 1980’s, ES and PNET were found to not only have similar features when examined under a microscope, but in greater than 95% of cases they also had an identical genetic abnormality called a translocation (Aurias 1984, Whang-Peng 1984, Burchill 2003). Subsequently, these two tumors have been grouped into a class of cancers entitled Ewing’s Sarcoma Family of Tumor (ESFT), all of which demonstrate this translocation. A translocation involves the mechanical breakage and reconnection between different chromosomes (Obata 1999). Chromosomes are the cellular storage units for genes contained within the nucleus (which is the genetic center) of the cell and are analogous to a spool with the DNA or genetic message being the thread on the spool. Humans have a duplicate set of 23 chromosomes (or a total of 46 chromosomes) in any given cell that carries all of the human genes. Drs. Gabriela Mercado and Frederic Barr of the University of Pennsylvania present an excellent discussion of chromosomal translocations in sarcomas elsewhere on this site. In ESFT, the translocation is between chromosomes 11 and 22 and is referred to as t(11;22). The gene from chromosome 22 encodes the Ewing sarcoma gene (EWS) whose function is not well-understood (Delattre 1992, May 1993). The gene from chromosome 11, termed FLI1, is involved in turning other genes on and off. This new fused gene, called EWS/FLI, encodes an altered fusion protein that regulates other genes that can give rise to cancers when inappropriately expressed. Dr. Stephen Lessnick of the Huntsman Cancer Institute provides a more detailed discussion of the Ewing fusion protein in a separate ESUN article. The online Atlas of Genetics and Cytogenetics in Oncology and Haematology contains a webpage summarizing classification and other information about Ewing’s sarcoma family tumors. In particular, see the "Bibliography" section of this webpage and the "Bibliography" of the EWSR1 webpage of the Atlas. Both have extensive references related to translocations in Ewing sarcoma. An excellent current review (supported by funds from the Liddy Shriver Sarcoma Initiative) of the basic biology of ESFT was published in the journal Oncogene (Lessnick 2009). The Ewing sarcoma gene encodes protein of uncertain function, while the FLI product is a transcription factor. Accordingly, the resultant EWS/FLI fusion protein is placed under control of the Ewing sarcoma promoter. While other translocations have also been described in ES and PNET, including t(21;22) and t(7;22), all of the translocations involve the fusion of the EWS gene with an ETS family gene. Previously, specific features of the translocation were thought to impact survival. With modern treatment protocols, however, survival rates of patients with the different translocations appear to be the same (Le Deley 2010; van Doorninck 2010). ESFT is very rare, arising in just less than 3 per one million people under 20 years of age (Esiashvili 2008). In 90% of the cases, ESFT is found in patients between 5 and 25 years of age. After age 25, it is exceptionally rare. About 25% of cases occur before age 10, while 65% arise between ages 10 and 20 years old. Approximately 10% of patients are older than 20 years when they are diagnosed. ESFT is uncommon in children under the age of five. Metastatic neuroblastoma is a rare cancer which can present with symptoms, signs, and histology similar to ESFT. Small, round cell tumors in patients under age five are more likely to be metastatic neuroblastoma than ESFT. 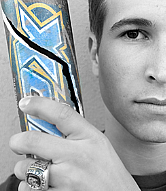 Boys and young men are affected more frequently than girls and young women. Males also do less well than females in terms of survival. The pelvis is the most common location, followed in order by the femur, tibia, humerus, and scapula. However, ESFT can be found in any part of the body. Interestingly, ESFT is ten times more common in whites than in blacks. These ratios are consistent throughout the world. Since Ewing's sarcoma has a higher incidence in children than in adults, it is considered a "pediatric cancer." The median patient age is 15 years old. There are approximately 200 new cases diagnosed in children and adolescents in the US per year and 20 diagnosed in adults (Esiashvili 2008). How Does Someone with ESFT Feel? People with ESFT initially complain of pain and sometimes notice a mass. Generally, the mass will continue to grow over the course of a few weeks to months. A mass that has been present for many years is unlikely to be an aggressive tumor such as ESFT. Sometimes the tumor eats away the bone and causes a fracture. Approximately a quarter of patients will complain of a fever and/or weight loss. People with these complaints should see their primary care doctor who can better evaluate whether a specialist should see the individual. How is Ewing's Sarcoma Family of Tumors Diagnosed? After a doctor asks questions (a history) and performs a physical, he/she may order a radiograph to evaluate the area. On radiographs, ESFT of bone appears as a destructive growth arising in the middle of the bone (diaphysis), see Figure 1. Radiographically, ESFT presents as a central lytic tumor of the diaphyseal-metaphyseal bone. It creates extensive permeative destruction of cortical bone, and as it breaks through under the periosteum, it takes on a typical "onion skin," multilaminated appearance. Another radiographic feature is the reactive "hair-on-end" appearance created by bone forming along the periosteal vessels that run perpendicularly between the cortex and the elevated periosteum. 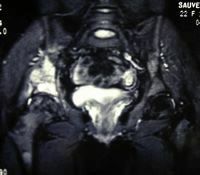 Advanced imaging techniques including magnetic resonance imaging (MRI) can help establish the diagnosis, especially when the tumor arises outside the bone (see Figure 2). If ESFT is suspected, two additional (staging) tests are done to determine if the tumor has spread: a computerized tomography (CT) scan of the lungs and a bone scan (Meyer 2008). The results of these staging studies help physicians determine treatments and outcomes (prognosis). A newer imaging modality being used at some centers is positron emission tomography (PET). The role of PET scanning in the evaluation and treatment of Ewing sarcoma has not yet been fully defined. A 2005 study from the University of Washington demonstrated that response to treatment as determined by PET could predict progression-free survival (Hawkins 2005). A European study showed that PET combined with CT was better than PET alone for the evaluation of ESFT (Gerth 2007). After all of these tests are performed, a sample of the tumor (biopsy) is absolutely necessary to determine if the problem is truly ESFT. What Does a Biopsy Entail? Two types of biopsies are possible: incisional and excisional. Incisional biopsies involve taking a small sample of the tumor and include needle (closed) and open biopsies. Needle biopsies can be either fine needle or core biopsies, which are explained below. Excisional biopsies are performed when the mass is small (< 2 inches) and not next to any vital structures. The type of biopsy chosen must be carefully determined after evaluating the size and location of the tumor as well as the age of the patient (Mankin 1996; Simon 1998). The placement of the biopsy site relative to the location of the tumor and the anatomic structures of the patient is also of critical importance. Small, superficial lesions are amenable to excisional biopsy, yet in general, if a malignant bone tumor is suspected, an excisional biopsy is rarely utilized. This is due to the fact that the tumor is often large at presentation and that neoadjuvant therapy (chemotherapy given before a tumor is removed) is usually appropriate prior to definitive resection. If the lesion is most likely benign based upon the preoperative history, physical exam, and imaging studies, then at the time of excision a frozen section should be obtained if there is any doubt as to the diagnosis. This allows the surgeon and pathologist a "quick look" at the tumor sample taken out while the patient is still in the operating room in order to determine if more tissue is needed for diagnosis. Primary excision of an expendable bone should only be considered by an experienced musculoskeletal oncologist. Expendable bones may include a rib, clavicle, sternum, ilium, scapular body and perhaps distal ulna. Most bone tumors of uncertain biologic potential, where there is a significant suspicion for malignancy, are biopsied via an incisional approach. The location of the biopsy site is determined by a thorough prebiopsy assessment of the extent of local disease and its relationship to critical structures such as the neurovascular bundle. This must be determined on a case-by-case basis. It is strongly recommended that the biopsy be performed by the surgeon who will be performing the definitive resection so that the biopsy tract can be removed in an elliptical fashion with the surgical incision. At the time of biopsy, the surgeon must be familiar with orthopaedic oncologic principles of flap development, coverage, and even amputation, as definitive limb salvage is the proposed plan for a given bone tumor. Needle (closed) biopsies can potentially expedite the diagnostic process when performed as an outpatient procedure in the doctor’s office. This can be conducted using a local anesthetic and can reduce the cost of the procedure. However, such techniques are generally not recommended for children. Most malignant bone tumors have a soft tissue component on its periphery. Conveniently this is also the most diagnostically representative tissue. Accordingly, deep deployment of the needle within the tumor is unnecessary and likely to lead to problems such as deep contamination and bleeding. Again the needle biopsy site must be carefully planned so that it may be excised at time of resection. With a well-trained cytopathologist, fine needle biopsy is an option. A 0.7 mm diameter needle is generally used. Up to 90% diagnostic accuracy has been reported, with bone sarcomas exceeding 80% accuracy. 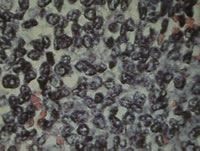 The drawback is that insufficient material may be obtained to perform cytogenetics, flow cytometry, gene profiling, and other tests that may help to establish the diagnosis. Core biopsies are minimally invasive, can be performed under local anesthesia when appropriate, maintain the architecture of the tissue, and can obtain adequate specimen for advanced studies. Diagnostic accuracy for this technique can surpass 95%. While needle biopsies are intended to facilitate diagnosis they can also lead to a delay. Because definitive diagnosis of a malignancy should not be rendered based solely on a frozen analysis, the patient must wait until special stains are completed. This may take several days if special studies are necessary. If the specimen is indeterminate, which can occur in 25-33% of cases even at experienced centers, then repeat biopsy and further delay may be necessary. An open incisional biopsy can potentially be done in the office. However for suspected bone malignancies, it is usually recommended that they be performed in the operating room. Generally, longitudinal incisions are the rule. Transverse incisions potentially contaminate flap planes and can compromise neurovascular structures. During the approach to the tumor, no flaps should be developed to minimize contamination. The area where the tumor is most superficial is preferable unless other factors, such as an overlying vessel or nerve, preclude it. Furthermore, the preoperative imaging may suggest that a specific area within the tumor may be more diagnostic than another. Areas of extensive necrosis and/or hemorrhage can be misleading. Once the tumor is reached, the biopsy should involve the periphery only. Deep sampling is not necessary. A frozen section must be obtained to determine if diagnostic tissue has been retrieved but not to establish the definitive diagnosis. Careful communication with the pathologist should be done preoperatively to clarify the amount of tissue that may be necessary for special studies as well as any special processing of the tissue needed by the pathologist. Formaldehyde fixes the tissue, preventing the studies such as cytogenetics and molecular tests from being performed. Furthermore, the tissue rapidly desiccates once outside the body, which also prevents certain advanced tests, so expeditious handling of the specimen is very important. For those bone tumors that have not violated the cortex, controlled fenestration is necessary. A trephine is usually adequate but if a larger window is required it is imperative that it be round or oval to minimize stress risers. A pituitary rongeur may then be used to retrieve tissue from within the medullary canal. The bone window may then be impacted back in place and sealed with bone wax. Alternatively, a polymethylmethacrylate plug may be used instead. Hemostasis is of utmost importance. Certain tumors may be quite vascular and meticulous hemostasis may not be possible. In such cases, a drain must be placed, in line with the incision distally, and sewn in place. The use of tourniquets is controversial. While their use provides for a bloodless approach, they must be let down prior to closure to assure adequate hemostasis. If used, the limb should not be exsanguinated to minimize the risk of tumor embolism. What Other Diseases Mimic ESFT? ESFT of bone can frequently masquerade as a bone infection (osteomyelitis), and doctors can have trouble initially distinguishing between the two. ESFT can mimic osteomyelitis because it is a high grade lesion with resultant areas of necrosis. Liquefaction of the tumor may occur and may be mistaken for pus. Furthermore, patients frequently present with systemic symptoms of low grade, intermittent fevers, elevated white blood cell count, and elevated erythrocyte sedimentation rate (ESR). Under the microscope these two diseases can, however, be distinguished (see Figure 3). Microscopically, ESFT demonstrates small round-like cells that predominate in densely packed sheets. Formation of pseudorosettes may also be seen. Immunohistochemistry reveals positive staining for O13 (CD99). Other cancers that may involve the bones such as osteosarcoma and lymphoma can also be distinguished from ESFT using the microscope and special studies. 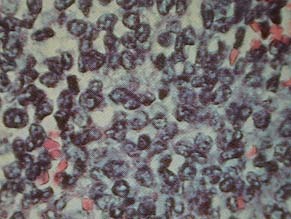 Non-cancerous (benign) conditions such as Langerhan’s cell histiocytosis may also look like ESFT. When ESFT arises outside the bone, soft tissue cancers (soft tissue sarcomas), such as rhabdomyosarcoma and others, must be considered as well. Specialists are readily able to differentiate between these entities. ESFT is an aggressive cancer with a tendency to recur where it arose (local recurrence) and spread throughout the body (metastasize). Treatment involves three potential types of therapy: chemotherapy, radiation therapy, and surgery. For ESFT isolated to one area (localized), chemotherapy is used to shrink the tumor and prevent further spread. Subsequently, the patient undergoes surgical removal of the tumor if possible. If surgery is not possible, then radiation therapy is used to kill the localized tumor. The patient then receives further chemotherapy in order to kill any additional abnormal cells after the tumor is removed. In certain cases, both surgery and radiation are used. In general, for patients treated this way, the average patient has a 5-year overall survival rate of approximately 70-75% (Bacci 2006; Esiashvili 2008; Gupta 2010). Unfortunately, 15-25% of ESFT patients, when they initially see their doctor will have disease that has spread elsewhere in their body. For these people, the average survival at five years is 30%. In these patients, chemotherapy and radiation are the primary treatments, but surgery may be used as well. Resection of lung metastasis, if possible, does improve survival (Haeusler 2010). What are the treatments for Ewing's Sarcoma Family of Tumors? The management of ESFT involves physicians from multiple disciplines. It is critical that a patient diagnosed with ESFT is treated at a center very familiar with this disease and that the center has an interdisciplinary team of physicians and allied health care providers dedicated to this rare but deadly form of cancer (Randall 2004). Medical specialties with expertise in Ewing sarcoma include orthopaedic oncology, medical oncology, pediatric oncology, radiation oncology, musculoskeletal radiology, and musculoskeletal pathology. Spine surgeons, vascular surgeons, and plastic surgeons may also provide critical support in some cases. Ewing's sarcoma is an aggressive cancer, and requires 9 months to a year to treat in the best case. If the cancer doesn't respond to "first line treatment" and if there is known disease, there are other drugs to try. If these don't work, the patient may be a candidate for a clinical trial. Advances in chemotherapy (CTx) have significantly improved survival. Surgical removal of the primary tumor generally occurs after a course of initial chemotherapy. Chemotherapy is started first to attack any potential tumor cells that have broken off from the main tumor (metastasized) but have not yet been detected by the staging studies. Furthermore, this gives the surgeon an opportunity to better plan his or her surgery, which can be very involved, see Figure 4. Surgery is then followed by further chemotherapy which may be adjusted depending upon the response of the tumor to the drugs. If the tumor has been highly responsive to the drugs a better outcome may be predicted in some cases. In ESFT, radiation therapy may be used in conjunction with or instead of surgery depending upon location and extent of disease. While all aspects of treatment have improved dramatically over the past 30 years, it is very intensive therapy. Treatment generally lasts a year. In essence, an ESFT patient and his/her family is giving up one year of life to hopefully get the rest of them back. Chemotherapy (CTx) is a critical part of the treatment for ESFT (Wexler 1996; Ludwig 2008, Balamuth 2010). Prior to CTx, the majority of patients, up to 90%, died when radiation and/or surgery were used exclusively. Certain drugs (cyclophosphamide, actinomycin-D and vincristine) were used in the 1960’s to treat ESFT patients and survival improved. Over the past three decades new chemotherapy agents have been developed and the dosing regimens of the different agents have been refined. A five drug regimen of vincristine, doxorubicin, cyclophosphamide, ifosfamide, and etoposide is now most commonly used in the United States and Europe (Ladenstein 2010). Chemotherapy treatment of ESFT differs some based on whether the tumor has spread (metastatic) at diagnosis. All of the below studies were conducted with patients with localized (non-metastatic disease). The results of the Intergroup Ewing Sarcoma Study III randomized patients to treatment with three drug therapy (with vincristine, doxorubicin, and cyclophosphamide) versus five drug therapy (with ifosfamide and etoposide in addition to the above agents). As reported in the New England Journal of Medicine, patients receiving five drug therapy had improved survival compared to those receiving three drug therapy (survival 72% vs. 61%, p = 0.01) (Grier et al., 348:694-701). This study defined the five drug regimen as the standard chemotherapy regimen for Ewing sarcoma family of tumors. Typically, these agents are given as the combination of vincristine, doxorubicin, and cyclophosphamide (or VDC) over 2 days followed by ifosfamide and etoposide (IE) given over 5 days. The two combinations (VDC and IE) are traditionally alternated every three weeks. More recently, investigators have studied "dose intense" chemotherapy regimens in an attempt to further improve outcome. Dose intensification means that the same total amounts of drugs are given, but they are administered in a more intense fashion. Dosing regimens may be intensified by increasing the amount of drugs given per interval, shortening the intervals at which the drugs are administered, or both. A Children’s Oncology Group study was performed to see if the standard 5 drug regimen could be given in a "dose intense" fashion by increasing the dosages of the agents while maintaining the dosing intervals at 3 weeks. Although this trial did not show an improvement in survival for those patients treated on the dose intensified arm, it did prove that toxicity was similar between patients treated for 30 weeks versus 48 weeks (Granowetter 2009). The more recent Children’s Oncology Group Trial (AEWS0031) has shown that an every-two-week interval compression regimen is superior to the every 3 week regimen in both event-free and overall survival: 76 versus 65 percent event free survival at 4 years (p=0.029), and 91 versus 85 percent overall survival at 4 years (p=0.026). There was also no difference in toxicity between the two regimens. Now, the standard agents above are commonly used in a dose intensified approach in order to decrease length of therapy while maintaining survival. Other data from this large trial is still being analyzed (Womer 2008). About 15% of patients will have metastatic disease at diagnosis, and this accounts for the most adverse prognostic factor in ESFT. Patients who have metastasis only in the lung (in addition to their primary tumor) seem to perform better than those with disseminated (or many sites of) disease. For patients with metastasis of disease at time of diagnosis, the standard five drug chemotherapy agents are used for front line therapy. However, as metastatic ESFT is more difficult to treat, high dose chemotherapy with autologous stem cell rescue is sometimes employed in this group of patients. Melphalan and busulfan are active agents against ESFT and have been used with some effectiveness in the context of autologous stem cell transplants for advanced cases of Ewing sarcoma family of tumors. However, the extent of myelosuppression they induce renders their use prohibitive in routine clinical settings. A 2006 study from a single institution in United Kingdom reported 38% five year survival with these agents in combination with bone marrow transplantation in advanced cases of ESFT (McTiernan 2006). Results of the European trial for patients with disseminated disease (Euro-EWING 99 trial) are now available and show that these patients have an event free survival of 27% with an overall survival of 34% at 3 years (Ladenstein 2010). Of the patients that went to high dose chemotherapy with stem cell rescue, 57% and 25% had a complete response or partial response, respectively. This trial confirmed that patients with more disease at diagnosis and those with larger primary tumors at diagnosis do not do as well as those with smaller, localized tumors. This helps researchers and clinicians continue to learn about how to best treat patients with different variations of the same type of tumor. For further information about chemotherapy protocols, the reader is referred to the chemotherapy references at the end of this paper. Conventional chemotherapy treatment for ESFT is not without significant side effects (toxicities). Supportive care in the form of nutritional, psychological, social, occupational and physical therapies, are essential to the well-being of the ESFT patient and his or her family. Most patients undergoing chemotherapy for ESFT develop a compromised immune system and are unable to make adequate numbers of white blood cells, the cells that fight infections. A medication called granulocyte-colony stimulating factor (G-CSF) helps the body to generate new white blood cells faster after chemotherapy is given. Nevertheless, patients often develop opportunistic infections that can be treated with antibiotics. Platelets, the components of the blood that help the body make clots, can also be impaired by chemotherapy, necessitating the transfusion of platelets from the blood bank. Anemia, or the loss of red blood cells, which carry oxygen to the tissues, can be corrected by red blood cell transfusion and the use of a drug that stimulates red blood cell formation called erythropoietin. Chemotherapy causes most patients to lose their hair (alopecia) which readily grows back after the drugs have been discontinued. Some of the chemotherapies also cause nausea and vomiting, but there are a variety of drugs that can help to minimize this. Finally, there are many agent specific side effects of the medications used to treat ESFT. Close monitoring and communication with the patient’s medical oncologist can help identify and treat adverse reactions. ESFT is sensitive to radiation treatment. Historically, this was the modality of choice for the main tumor (Indelicato 2008). Generally, a dose of 45-50 Gy is administered over a 5 week course to treat local disease. However, radiation therapy can cause problems including chronic swelling, joint stiffness, and secondary cancers later in life in less than 5% of cases (Kuttesch 1996). Therefore, surgical removal of the tumor was implemented to obtain local disease control without the side effects of radiation. If, after surgical removal, a small amount of tumor remains behind, then local irradiation is used postoperatively. Some tumors are so big that surgery is not possible. In those cases, radiation treatment is still used to kill the tumor (La 2008). The surgical management of ESFT has evolved into a sophisticated field, see Figures 5 and 6 (Alman 1995; Gebhardt 1991, Hornicek 1998; Musculo 2000; Clohisy 1994; O’Connor 1996; Weiner 1996; and Randall 2000). How the surgery is performed is determined by how large the tumor is and how far it extends into surrounding tissues. The goal of any cancer operation is to perform a complete removal of the tumor with an additional cuff of normal tissue for safe measure (Sluga 2001). Limb sparing surgery has become the norm with advances in imaging techniques, such as MRI. This, in combination with improved chemotherapy, has enabled the tumor surgeon to obtain local control rates equivalent to amputation. 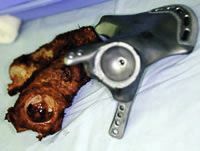 However, in severe cases, where limb salvage may compromise the survival of the patient, amputation may be necessary. Because of the complexity of the musculoskeletal system, different ways to rebuild the area where the tumor is removed are performed depending upon the site of involvement. 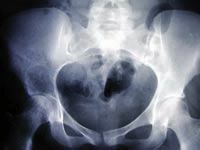 Generally, the areas where these tumors arise are the bony pelvis and the large long bones (femur, tibia, and humerus). The spine, ribs, hands and feet can also be involved, albeit less frequently. ESFT has the potential to develop in any part of the body. How is the body repaired after removal of an ESFT tumor? Ewing sarcoma of bone is the most common form of ESFT. The main ways to rebuild the defect created by removal of the tumor include bone transplants, either from the patients themselves or from a bone bank, and/or metal artificial body parts (endoprosthetics). Which technique is employed is a function of the location of the tumor, age of the patient, and the types of additional therapies that will be employed (i.e. chemotherapy and/or radiation). Allografts and endoprosthetics may be used in conjunction as a composite reconstruction. Autogenous bone grafts may be vascularized (e.g. fibula). All three have inherent advantages and disadvantages. Large structural allografts and endoprosthetics should generally be reserved for children older than 8 years. Nonvascularized autografts from the pelvis or other sites may be used in a limited fashion for relatively small defects and work well in children. The advantage is a high incorporation rate but with potential donor site morbidity. Vascularized autografts such as the fibula are attractive because, when successful, the graft incorporates and even may remodel secondary to the forces exerted across it (Chen 2007; Hubert 2010). Again, donor site complications can occur. Structural allografts have no donor site morbidity. The major drawback to allografts is difficulty incorporating with the host bone (nonunion) and fracture. Their advantage is that they are a biologic solution which may last the lifetime of the patient if they heal and do not fracture. Osteoarticular allografts include the joint surface at the end of the donor bone and may be used in reconstructions that require the removal of a joint (Clohisy 1994; Hornicek 1998; Muscolo 2000). Any joint can be reconstructed in this manner although the longevity of the reconstruction may vary among different locations. Diaphyseal tumors can be reconstructed with intercalary allografts which replace a segment of bone but not the joint surface. 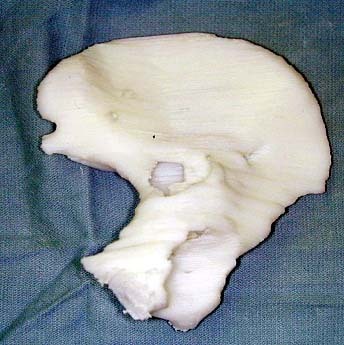 The growth plate (physis) may sometimes serve as an adequate tumor barrier allowing preservation of the end of the bone (epiphysis) and thus the joint surface. This must be carefully assessed preoperatively with MRI. When this is possible the durability and functional outcome will be superior to cases where the joint proper must be sacrificed. For large structural bone transplants, satisfactory functional results can be anticipated in at least 60-70% of cases. Many cases, depending upon the location of the tumor and extent of the repair, have even higher success rates. Stringent patient selection criteria for the use of bulk allografts may improve the overall results of the procedure (Cummings 2010). Artificial metallic body parts (endoprosthetics) provide an immediately stable reconstruction upon which the patient can bear weight. These implants are much larger and more complex than the standard joint replacements used to treat worn out joints due to arthritis and related conditions. Usually the endoprostheses are cemented in place with acrylic bone cement (polymethylmethacrylate) but newer techniques are available which avoid the use of cement. The endoprostheses are made from cobalt, chrome, steel or titanium. Because ESFTs affect children with immature skeletons, endoprosthetics have been designed to mechanically elongate when a growth plate has to be removed in order to fully resect the tumor. Studies of these expandable prostheses reveal that most (85%) are still working 5 years after implantation (Grimer 2000; Ritschl 1992; Schiller 1995; Schindler 1998). Expandable prosthetics are available with different mechanisms for expansion, some of which avoid the need for additional surgery. For metallic prosthesis, newer cementless, porous ingrowth systems have been developed but have not yet replaced cemented implants at most centers. A novel prestress compliant fixation device is also now available that obviates the need for long intramedullary stems, thereby avoiding stress shielding which can weaken the patient’s remaining healthy bone. This system is designed to facilitate osseous integration at the bone-implant interface. Are there any options other than bone grafts and metallic implants for ESFT surgical repair? In select cases, a patient’s own body part, such as their lower leg can be transplanted to reconstruct a defect in the thigh. Such surgeries are called rotationplasty and tibial turnup-plasty. Such options are particularly beneficial in the young child (less than 8 years of age) who will experience a significant amount of additional growth. Rotationplasty utilizes the ankle joint, which is rotated along its long axis 180 degrees, to convert a lower femur amputation level to a below knee amputation. Functionally, rotationplasty compares quite well with other forms of limb salvage in terms of a person's ability to walk (McClenaghan 1990). Additionally, it is far more durable than other forms of reconstruction and retains the lower tibial growth plate for additional growth. If a joint (e.g. knee) needs to be removed with the tumor, an alternate option to joint reconstruction is a joint fusion (arthrodesis). This involves inducing the bone above and below the joint (e.g. femur and tibia) to grow together resulting in a stiff, immobile "joint." While fusion remains an option in limb preservation surgery, it is utilized with diminishing frequency as endoprostheses and bone transplants have improved. The advantage of a fusion is that once it has healed, the construct is very durable and can withstand heavy labor and sports. What are the side effects of surgery in ESFT? Surgery, like chemotherapy, is not without potential side effects. Infections can occur in 10-15% of bone transplants (Mankin 1996; Alman 1995; and Hornicek 1998). Furthermore, the bone transplant may not incorporate (nonunion) in 10-25% of cases where a large transplant is used from a bone bank (Gebhardt 1991; Mankin 1996). Because of these problems, additional surgery may be necessary and the bone transplants may have to be removed. These problems are more likely in patients receiving chemotherapy. Large bone transplants are always at risk for breaking (about 20% of cases) so care must be used throughout the life of the person that survives ESFT. Fractures can be managed by standard techniques but may necessitate graft and or implant removal and replacement. The disadvantage of endoprosthetics is that they can eventually loosen and/or wear out. The anticipated five-year survival for large metallic replacements ranges from 50-90% depending upon where it is located (e.g. thigh versus arm) and its size. For expandable endoprostheses some of the mechanisms by which these implants expand may be easily facilitated, yet the longevity of replacement is inversely related to the age of the patient at time of surgery (Ward 1996; Finn 1997; Eckardt 1993; Schiller 1995 and Schindler 1998). The younger the patient, the more likely that she or he will suffer a complication related to the reconstruction. Also, like large bone transplants, infections are a significant risk, with rates ranging from 0-35% of cases of endoprosthetic reconstructions (Grimer 2000; Wirganowicz 1999; Malawer 1995; Ritschl 1992; and Ward 1997). The drawbacks of rotationplasty and tibial turnup-plasty relate to body image. In the United States it is not performed very often probably due to societal pressures regarding appearance. Families must undergo extensive pre-surgical counseling, including viewing images of patients who have undergone the procedure. Joint fusions often result in dissatisfied patients because of the lack of joint motion. They are better tolerated for the shoulder than the lower extremity joints (Alman 1995; Cheng 1991 and Kneisl 1995). When should an amputation be performed in ESFT surgery? In general, contemporary limb sparing surgery results in a permanent removal of the tumor in almost as many cases as when an amputation is performed (Rougraff 1994). Amputation itself does not guarantee absolute tumor eradication. ESFT has the ability to "skip" closer to the central body and not be detected before amputation, resulting in tumor re-growth in the amputation site (Enneking 1975). Currently, MRI is able to image the entire involved area which makes this very rare compared to resections performed in the 1960s and 1970s prior to MRI. Sometimes the tumor involves critical nerves, arteries, or veins. Involvement of these structures can make limb sparing surgery quite risky. When the patient is treated by an experienced orthopaedic oncologist, contemporary limb salvage surgery does not impart a survival disadvantage. Patients who develop a break in the bone may or may not be able to undergo limb sparing surgery depending upon the circumstances of the case (Bramer 2007). The decision to amputate is complex and must involve the patient, his /her family, and the entire team of health care providers. The age of the patient, location of the tumor, presence or absence of a bone fracture, and the desires of the patient and family must be considered carefully. Finally, because ESFT is radiosensitive, amputation is rarely, if ever, performed. Functionally, in the upper extremity, amputation leads to very poor results. Accordingly, aggressive reconstruction, with vascular and/or nerve grafting as necessary should be done to save even limited hand and wrist function. However, if an adequate margin cannot be obtained, then amputation is necessary. In the lower extremity, external hemipelvectomy which involves the removal of the entire lower extremity at the level of the pelvis leads to a particularly poor functional result. A hip disarticulation which involves removal of the extremity at the level of the hip joint permits improved sitting although effective prosthetic use remains difficult. For tumors above the proximal tibia, limb salvage with one of the above techniques is preferable to amputation and can potentially give good functional results. Patients undergoing above knee amputation have increased energy expenditure compared to those undergoing endoprosthetic reconstruction. A knee arthrodesis is intermediate between limb salvage and amputation with respect to energy consumption. Tibial diaphyseal lesions often are amenable to limb salvage; however, lesions about the foot and ankle are generally best treated with below knee amputation. In a study evaluating psychosocial adjustment, physical complaints were reported more often in patients undergoing limb salvage, yet amputees tended to have lower self-esteem and experience more social isolation. What new research is on the horizon for ESFT? The survival of patients with ESFT isolated to a single site on initial staging has improved with modern chemotherapy and surgical techniques. The outcomes for patients with diffuse disease at presentation and persistent disease after initial treatment remain poor. Scientists and clinicians are vigorously investigating new treatments in an effort to improve outcomes for these patients. These new techniques are usually studied in the setting of phase 1 and phase 2 clinical trials at centers specializing in cancer research. Some of the most promising methods are discussed below. Because the molecular "signature" for ESFT is the t(11;22) genetic translocation, this has become a main focal point for ESFT researchers (Lessnick 2002). By studying the molecular pathway of ESFT and the EWS-FLI fusion protein, investigators at Huntsman Cancer Institute discovered that repetitive sequences of DNA called microsatellites function as response elements in the ESFT pathway (Gangwal 2008). Subsequently, they were able to identify a protein called GSTM4 which is found in high levels among patients who do not respond to chemotherapy (Luo 2009). This discovery may permit the early identification of patients who will not respond as well to standard treatment. Agents that interfere with GSTM4 may ultimately be developed to treat ESFT. Investigation of the fusion protein biological pathway has also identified a protein called NR0B1 as an important component of the pathway which may also ultimately be targeted for therapy (Kinsey 2006; Kinsey 2009). Dr. Jeffrey Toretsky and colleaugues at Georgetown University have developed another novel approach for interfering with the ESFT molecular pathway. Their research showed that EWS-FLI binds a molecule called RNA Helicase A which functions in the regulation of genetic transcription (Toretsky 2006). Recently, they identified a small molecule, YK-4-279, which interferes with the binding of EWS-FLI to RNA Helicase A. This molecule killed ESFT cells in culture and decreased ESFT tumor growth in an animal model. Drs. Toretsky and Schlottmann provide a more detailed discussion of Novel Molecular Approaches for the treatment of ESFT elsewhere on the ESUN website. Genetic sequences directed against particular genes, termed "anti-sense" oligonucleotides, are an exciting new technology that may prove beneficial in an array of cancers including ESFT. Anti-sense against the ESFT translocation has been shown to inhibit tumor formation in the lab dish as well as in animals (Ouchida 1995; Kovar 1996; Tanaka 1997; Lambert 2000) but this technique is still very investigational and much work has yet to be done. A major difficulty with anti-sense technology is developing an effective delivery mechanism for the agents. Anti-sense oligonucleotides that inhibit a molecule known as insulin-like growth factor 1 (IGF-1) also may prove to be a future biologic agent against ESFT (Scotlandi 2002). In 2005, Triche et al. described a non-viral delivery system for administering small inhibitory RNA directed against the EWS-FLI fusion protein (Hu-Lieskovan 2005). Inhibitory RNA technology has also been useful in elucidating the ESTF molecular pathway. Inhibitory RNA techniques were used to identify insulin-like growth factor binding protein 3 (Prieur 2004) and cyclin D1 (Sanchez 2008) as important targets of the EWS-FLI fusion protein. Additionally, inhibitory RNA was used to show that GSTM4 is an important response element of the EWS-FLI (Luo 2009) in one of the studies mentioned previously. Antibodies directed against the IGF-1 receptor protein have also been studied as a potential treatment for advanced ESFT (Manara 2007) . A phase 1 clinical trial of Figitumumab, an IGF-R1 antibody, was recently reported (Olmos 2010). Two of 16 ESFT patients responded to treatment and eight had disease stabilization for four months or longer. This agent and other similar antibodies are undergoing further study. CD99 is another molecule being studied as a potential immunotherapy target for the treatment of ESFT. CD99 is present on most ESFT tumor cells. Recent research suggests that it plays a role in preventing the normal neural differentiation of Ewing cells (Rocchi 2010). Human trials targeting CD99 are pending. Tumor cell suicide via programmed cell death or apoptosis may be facilitated by a molecule entitled tumor necrosis factor-related apoptosis inducing ligand (TRAIL). This molecule was shown to kill Ewing’s cells in vitro and may prove to be a useful biologic therapy (Mitsiades 2001 and Van Valen 2000). A pre-clinical study showing efficacy of TRAIL in animals was recently reported (Picarda 2010). These and other drugs are purely investigational at this point, but with continued support of Ewing sarcoma research, discoveries made in the laboratory will hopefully be translated into effective therapies for ESFT. I met Kenji Matsumoto in 2007, shortly after he was diagnosed with an extremely rare form of cancer: primary Ewing’s sarcoma of the brain. Despite the grim prognosis and paucity of published information, Kenji remained focused and positive, exhibiting dignity and courage throughout. Several years before, upon completion of his Master’s Degree in Epidemiology, Kenji had followed his dream of a life dedicated to helping to improve the lives of people in third world countries. For two years he had been doing HIV research in Tanzania and organizing volleyball tournaments as fundraisers to send orphans to school. Into his third year he began having relentless headaches which led to his having an MRI, in the only machine in the country, where a golf-ball size tumor was found in his brain. Kenji traveled emergently to Boston and underwent a resection of his tumor, followed by proton beam irradiation and 17 cycles of chemotherapy. Although frail and weakened by all that had happened, Kenji immediately recommitted to his goal of helping the less fortunate. Despite his medical team’s recommendation that he remain in the United States, he chose to return to Africa to continue his work helping the less fortunate. Kenji’s commitment to others overshadowed his own safety. He had already begun researching means to continue his work while undergoing his final chemotherapy treatments. 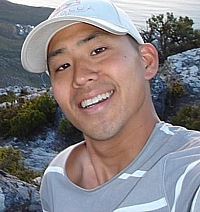 A year and a half after he was diagnosed, Kenji returned to Africa to work with Doctors without Borders in Swaziland. Read Kenji's story. We told the girls, without hesitancy, that their brother had cancer. Michelle wept, and Laura sobbed. We asked one of the senior pediatric oncologists to help us explain all of this to both of the girls. She was wonderful and reassured the girls that they did nothing to cause their brother's cancer, nor would they "catch" cancer themselves. She asked if they fought with their brother. When they finally admitted "yes," she wanted to know if they would continue to fight with him, now that he has cancer. Laura responded with "Oh, no." Then the doctor said, "Oh yes, you will. You should continue to treat Kevin as you always have – after all, you don't want your little brother becoming a spoiled brat, do you?!" They laughed, we were relieved, and I will never forget that conversation. Read more from Jennifer. The first two chemos were terrible. But starting with the third one, it became a bit easier. Pierre would discuss everything with the nurses and doctors, even playing Buzz in the hospital corridors. Today Pierre is in great shape. He goes to school and has good marks (even though he would prefer to do things other than go to school). He has adjusted pretty well to his leg prosthesis and he surpasses himself at climbing, riding a bike, swimming, table tennis.... His parents do have spikes of stress for every PET scan, but it gets better with time. Life has changed for the whole family: we are all well aware of life's fragility, brevity and wonders! Read more about Pierre. Then everything happened so fast. I was scheduled to see the surgeon, and she was surprised that I was diagnosed with cancer based on the x-ray. She actually gave me hope for a few days, because she said that only a biopsy could prove that it was a malignant tumor. The biopsy was done, and then there were the long days of waiting the results. She called me and explained to me that I had Ewing's sarcoma. I understood the word sarcoma but had no idea what the first word mean. I googled everything at home. I was so eager to find some similar stories and, most importantly, to find out that people survived this cancer and lived happily after. Most of the stories were tough but inspirational. Read Olga's story. My life feels just the way it did before I was diagnosed. 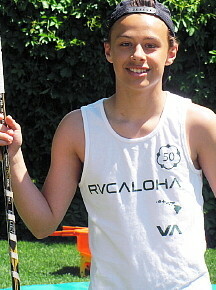 I was happy I was able to complete Grade 8, and I also ended up top scorer for our hockey team even though I only played 12 of the 22 games. We have done a lot of travelling since my treatment ended, which has been great. My family has not made any changes really, except I think we live our lives feeling more happy and grateful then ever before. I really don't think about having had cancer and I do not consider it part of my identity. Read Aleksei's story. I have come a long way but still deal with many long-term side effects and take various medications. I have a weak right lung from radiation, my knees have arthritis, my gall bladder was removed and my thyroid does not work correctly so I take medicine for that. I also have hormone deficiencies and chronic pain in my back and legs along with chronic fatigue. My intestines are damaged from my transplant and give me some problems, although with time it has improved dramatically. Despite all of these possible deterrents, I live a very active and full life. There have been lots of ups and downs physically, emotionally and psychologically in this journey. Read Rachel's story. I wish I had known that it would be ok...that I would get to the point that I could actually make it through one day and never think of the disease. I wish I had known that I could have pain-free days, and that I would have the miracle baby that doctors said would never happen. My life would go on and I would finally get rid of that port.....those nasty drugs and side effects....that horrible tumor....but LIFE - I would still have it. It would be different but still wonderful. Scott hopes that his book can help others to feel understood, supported and better prepared to deal with sarcoma. 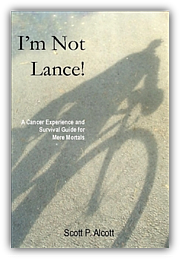 Proceeds from the sale of the book will be donated to the Liddy Shriver Sarcoma Initiative. Read more about Scott's book, or purchase a copy in paperback, instant download and Kindle format. This group provides a network of friends who are dealing with issues related to Ewing's sarcoma. An ACOR "Mailing List" is a free, non-moderated discussion mechanism for patients, caregivers, researchers, and medical professionals to exchange messages with each other. Messages are "posted" by someone on the list (i.e., a member of the support group) and cover a wide range of topics, e.g., patient experiences, research articles, clinical trials, current treatment practices and alternative treatments. A posting often results in an "online discussion" of the topic. Sometimes, one or more medical professionals are members of a support group and may comment on a posting. The following Facebook groups that provide opportunities to exchange messages with others who are dealing with angiosarcoma. The Liddy Shriver Sarcoma Initiative has funded more than $827,000 in Ewing's sarcoma research. Ewing's sarcoma often strikes children and young adults, and treatment can involve up to a year of aggressive chemotherapy, radiation therapy and surgery. It is our hope that research will lead to newer and better treatments for those who are diagnosed with Ewing's sarcoma. The following research studies were funded by the Initiative after sarcoma experts agreed that they were clinically relevant and scientifically sound. $100,000 Grant: In this study, researchers at Johns Hopkins University aim to discover how a gene called Nrf2 helps make Ewing's sarcoma cells resistant to chemotherapy. Then they plan to interfere with the gene's function in the hopes of learning how to improve treatment response in patients. This grant was funded in January 2015 by the Liddy Shriver Sarcoma Initiative in partnership with the Brian Morden Foundation, the Wendy Walk and the Alan B. Slifka Foundation. It was made possible by a generous donation from the Arlo and Susan Ellison family, donations from the friends of Max Ritvo, and donations made in memory of Michael Lio, Christi Campbell, and Nick Strub (the Nick Teddy Foundation). $250,000 Grant: In this study, nine researchers in five countries will work together to understand the genetic risk for sarcomas. A US team will focus on examining DNA from people with Ewing sarcoma, looking to see if repeating regions of DNA called "microsatellites" in the inherited DNA of people with Ewing sarcoma are associated with an increase risk of disease development. $50,000 Grant: In this study, researchers in Los Angeles will work to understands the interactions between EWS/FLI1 and GLI1 and to identify compounds that interfere with this interaction. By focusing on one of the fundamental mechanisms of EWS/ETS biology, they hope to more effectively attack these deadly tumors. This grant was funded by the Brian Morden Foundation and the Liddy Shriver Sarcoma Initiative in January 2014. It was made possible by generous donations to the Initiative from the families and friends of Mike Homan, Christi Campbell and Michael McMahan, all of whom lost their lives to Ewing's sarcoma. $90,000 Grant: In this study, researchers in Nantes, France will study the potential therapeutic effects of zoledronate (ZOL) alone or combined with chemotherapy in Ewing's sarcoma. The impact of these studies will be to propose zoledronic acid as adjuvant therapy for Ewing's sarcoma patients in the next European protocol (following the current EuroEWING99) to help prevent recurrence and metastasis and to improve prognosis for patients with metastatic or unresponsive disease. This grant was awarded by the Liddy Shriver Sarcoma Initiative in June 2011. It was made possible by generous gifts from the Arlo and Susan Ellison Family, the Jack Langseder 4evRSTRONG Foundation, and Strike Out Sarcoma (in memory of Michael Lio). $50,000 Grant: In this study, investigators in Bologna, Italy will define the molecular mechanisms of CD99-induced apoptosis in Ewing's sarcoma in order to identify therapeutic targets for potential drug development. The study's findings may also help predict prognosis at diagnosis and assist in developing personalized therapies for Ewing's sarcoma patients. 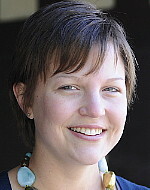 This grant was awarded by the Liddy Shriver Sarcoma Initiative in April 2011. It was made possible by generous donations made in memory of Michael Lio (Strike out Sarcoma), Peter Skelton (Peter Skelton Sarcoma Research Foundation), Ryan Glenny, Paul Roth, Mike Homan, Craig Goris, Richard Pollak, and Joe Rivas, who lost their lives to Ewing's sarcoma; and by generous donations made to honor Jeremy Weingrod and Alex Franke, who are fighting the disease. $100,000 Grant: Dr. Stephen Lessnick's previous research (funded by the Initiative) showed that NR0B1 may be a promising target for therapy in Ewing sarcoma. This grant funded Dr. Lessnick's continuing research at Huntsman Cancer Institute focused on understanding the role of NR0B1 in Ewing's sarcoma. The goal of this study was to discover if it is possible to target NR0B1 in order to treat the disease. Dr. Lessnick made a discovery during this study that may lead to more personalized medicine patients. This grant was awarded by the Liddy Shriver Sarcoma Initiative in August 2008.The study was made possible, in part, by a generous gift from the Arlo and Susan Ellison family and by a generous gift from Truus van der Spek, in loving memory of her son Paul Onvlee. $50,000 Grant: In this study, Dr. Jeffrey Toretsky of Georgetown University and his team discovered a novel way to block the activity of the fusion protein responsible for Ewing’s sarcoma. Investigators plan to further develop and test lead compounds in animal models of Ewing's sarcoma. The goal is ultimately to develop less toxic and more successful therapy for patients. This grant was awarded by the Liddy Shriver Sarcoma Initiative and the Amschwand Sarcoma Cancer Foundation in February 2008. The study was made possible, in part, by a generous gift from the Arlo and Susan Ellison family to the Liddy Shriver Sarcoma Initiative. $37,800 Grant: In this study, Dr. David Loeb and his team at Johns Hopkins demonstrated that a subpopulation of Ewing's sarcoma cells has characteristics of stem cells: these cells are capable of self-renewal and of tumor initiating activity in immune deficient mice. Researchers plan to further purify the stem cell population so that they can gain a better understanding of the biology of this key cell type. They hope that therapeutic targeting of Ewing's sarcoma stem cells will result in dramatic improvements in the outcome of patients with Ewing's sarcoma. This grant was awarded by the Liddy Shriver Sarcoma Initiative in February 2008. It was made possible by a generous donations from the Arlo and Susan Ellison family; by generous donations made in memory of Christie Campbell, Jeremy Zimmer, Brad Rice, Peter Skelton, and Paul Onvlee, who fell victim to this disease; and by generous donations made in honor of Teri Marriage, Matthew Beaver, and Nick Gibboni, who are fighting the disease. Donations were also received in memory of Jeremy's grandfather, Robert Pickrell. $50,000 Grant: In December 2006, the Liddy Shriver Sarcoma Initiative announced the funding of two research studies by Stephen Lessnick, MD, PhD at the Huntsman Cancer Institute. One study researched a new approach to diagnosing Ewing's sarcoma, and the second study analyzed NR0B1 in Ewing's sarcoma. The two grants were made in memory of Liddy Shriver, Brian Morden, Krystle Smith, Shane Duffy, Conor O'Sullivan, Paul Onvlee, and Allen Strehlow, and in honor of those currently fighting this disease. $50,000 Grant: In January 2005, the Liddy Shriver Sarcoma Initiative and the Brian Morden Foundation joined forces to fund $50,000 for research on a vaccine to treat recurrent and relapsed Ewing's Sarcoma. The vaccine is being developed by a team of oncology specialists at the University of Michigan Medical Center led by Dr. James Geiger, with Dr. John E. Levine and Dr. Raymond Hutchinson as co-investigators. This study continues an initial Phase I Clinical Trial funded by the National Institutes of Health that Dr. Geiger and his team initiated. Funds from the Brian Morden Foundation and the Liddy Shriver Sarcoma Initiative, in addition to grants from the University of Michigan, will allow doctors to offer a new alternative to patients whose traditional chemotherapy and radiotherapy have failed. See the press release. If one looks carefully above the right hip joint, a dark area indicative of bone destruction can be appreciated. Figures 2-6 demonstrate a case study of ESFT. The bright area above the right hip joint indicates a bone tumor that is concerning for a bone sarcoma. The dark blue material within the cells represents the enlarged, active nuclei. The nuclei contain the genetic information necessary for a cell to grow and reproduce, qualities inherent in cancers such as Ewing’s sarcoma. An artificial metal pelvis was created for her while she was undergoing her initial chemotherapy prior to surgery. 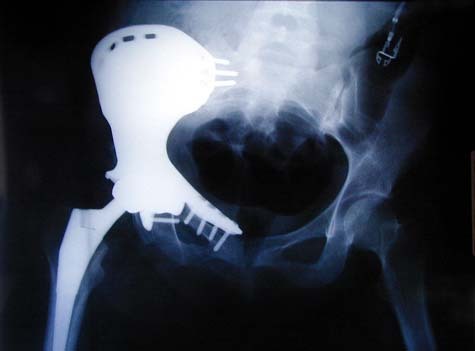 The metal, artificial hemipelvis has been implanted on the right side.